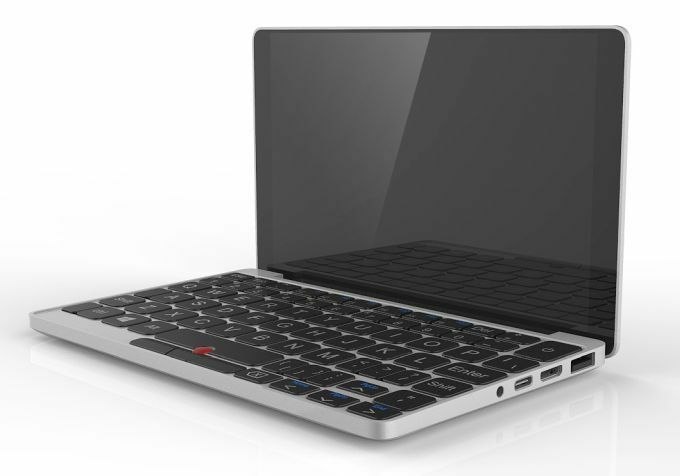 After launching its Indiegogo in February, GPD's tiny laptop has raked in $2 million. With a June shipping date fast approaching, GPD released a short video of a prototype Pocket to show how the product is coming along. The GPD Pocket is a mini laptop by the Chinese company GamePad Digital that is currently raising funds on Indiegogo. GPD initially sought $200,000 to fund the production of the Pocket, but, at the time of this writing, has raised over $2 million. According to its Indiegogo page, the 7-inch laptop is intended to appeal to business people who prefer Microsoft’s Surface machines and Apple’s Macbook Pro. The machine offers a 8 GB of RAM and 128 GB of storage. The system is powered by a quad-core Intel Atom x7-Z8700 and also features a 1920x1200-pixel Gorilla Glass 3 touch screen. Users can chose between Windows 10 or Ubuntu 16.10 for their operating system. The machine’s foldable design features a tiny keyboard and a Lenovo ThinkPad-like track point. The Pocket resembles Razer’s ambitious Switchblade prototype which received considerable press at CES 2011 but ultimately never made it to market. Although it might be tempting to write off the Pocket as impressive-sounding vaporware, GPD has released a video of a working prototype of the Pocket. The video shows the Pocket running Windows 10 and a GPU test program that renders some kind of three-dimensional donut. The GPD Pocket will be available for $599 at retail when it releases. Currently, Indiegogo backers can get their hands on the machine for $399 with an expected delivery date of June 2017.